Dorothy Agee and mom, Shannon Johnson. Larger than life personalities only need one name. Cher, Madonna, Prince, Dorothy (and no, we are not in Kansas). Truth is, Dorothy has only been with the 1946 staple for the last several years, since Amanda and Nathan Wells and Jonathan Shull joined Brad Reeves as owners. 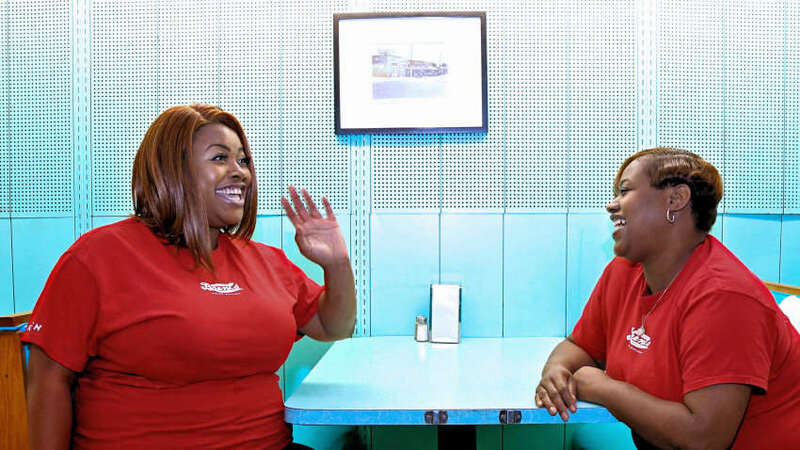 But her gregarious and lighthearted manner defy a timeline that she says has been filled with lifting others up, all while serving the best diner food in the neighborhood. Dorothy is a home health worker by day, Monday – Friday, working at Brent’s Friday nights and all day Saturday and Sunday. Shannon, too, works for Brent’s, and came to the diner at Dorothy’s urging. He must have also given her her comedic timing, too. As Dorothy talks about her strategies for seating what tables when and working her contagious attitude, she brings up Hollywood. “I’ve gotten TV offers since being here,” she explains of her encounters with customers who have showbiz ties. “I had an audition for Master Chef but I don’t julienne, honey!” she laughs. One day, in Walgreens, a lady asked to take her picture, explaining she was in television. Dorothy got an audition for NBC’s “Celebrity Night Out” off that photo. She still gets casting emails, but suggests the real stars are her children. Speaking of family, Brent’s has been a common denominator for Dorothy, Shannon and three of Dorothy’s siblings – “Ra Ra”, Chris and Will. At one time, five people in her family were working here at the same time. On any given day, Dorothy is floating from table to table, even out of her own section. She says this is a way to challenge, to teach – to build everyone else up. And when I suggest an end to our interview – after getting a treasure trove of material – Dorothy says, she has more. “Write a book!” she says and promises me a cut of the profits. I’ll just take a milkshake the next time I’m in. Thanks, y’all! We love them so!